Could you please help me with my bricked Blu D532u? I'm sure that this rom is the correct one, because I've done it a couple times before and it worked fine. If I just download the PRELOADER, it gets completed, but when I add the others (even excluding the PRELOADER) I get the errors. 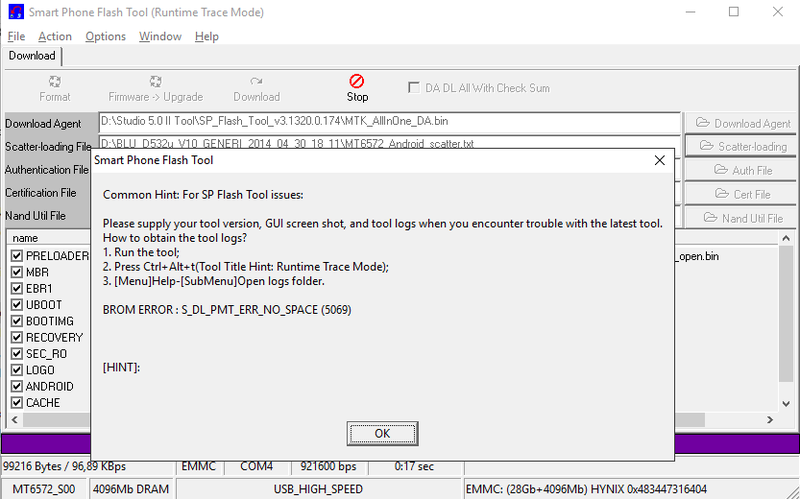 When I try the auto format (whole flash except bootloader) on v5.1524, I get a S_DL_READ_PT_FAIL(5073). The 'whole format' works fine. RAM tests are OK on both versions. On all tests, the phone has no battery, and I only plug it after I press the Download/Test button, while holding the volume down button. Hope someone can pull a rabbit of the hat, because I'm almost wrecking it. (05-19-2016, 05:24 PM)eniomarques Wrote: Hello all! 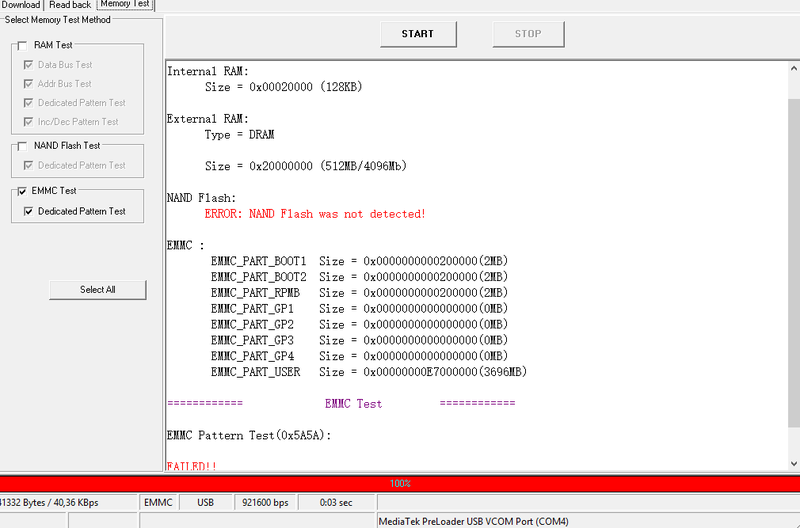 Same error again (8), and if I try to format leaving the bootloader, get a S_DL_READ_PT_FAIL (5073). The same errors that I was getting in the previous v5 tool. Looking at the tutorial, it asks to have a formatted SD card, and I didn't had the chance to format mine (got no adaptor). 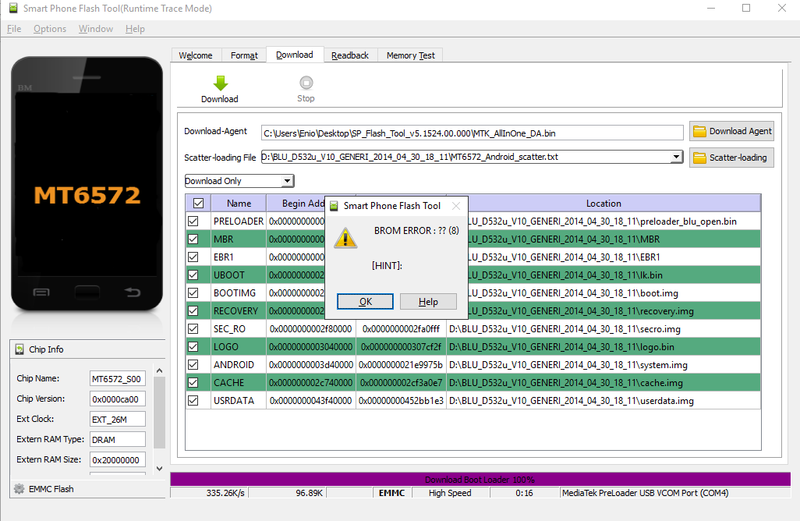 Do you think that the SD Card might be the problem? And thanks a lot for the support! 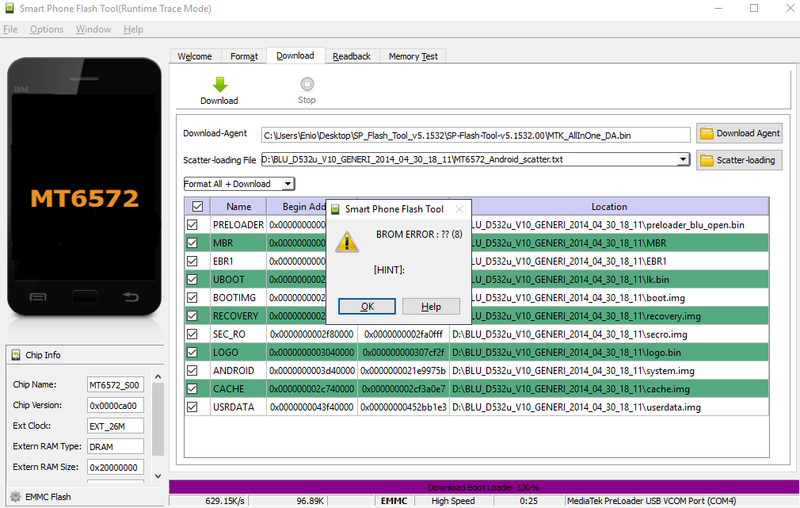 (05-20-2016, 01:27 PM)eniomarques Wrote: Same error again (8), and if I try to format leaving the bootloader, get a S_DL_READ_PT_FAIL (5073). The same errors that I was getting in the previous v5 tool. 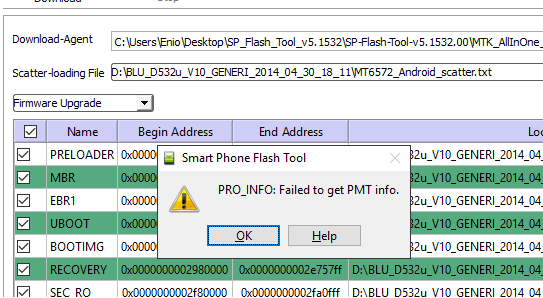 A different one with firmware upgrade - PRO_INFO: Failed to get PMT info. the format all except bootloader doesn't work, I get a 5073 error. (05-20-2016, 04:22 PM)eniomarques Wrote: the format all except bootloader doesn't work, I get a 5073 error.